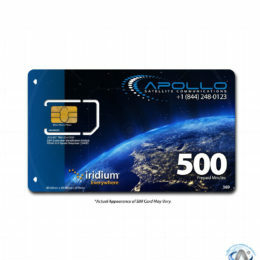 With the Iridium 500 Minute 1 Year Prepaid SIM, users have a global, cost-effective communications system at their fingertips while providing the global reach and accessibility users have come to expect from Iridium. 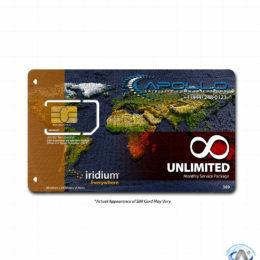 With the Iridium 150 Minute 2 Month Prepaid SIM, users have a global, cost-effective communications system at their fingertips that provides the global reach and accessibility users have come to trust from Iridium. 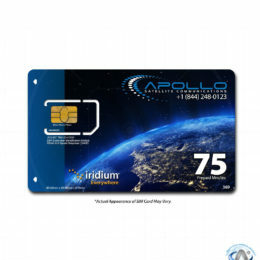 With the Iridium 75 Minute 30 Day Prepaid SIM, users have a global, cost-effective communications system at their fingertips that provides the global reach and accessibility users have come to trust from Iridium.